Since your Maui Wedding Photography is one of the keepsakes that lasts forever from your Maui Wedding, we thought we'd post a few shots from our recent Soirees here on the Valley Isle. Our beaches are No ka o'i and the sunsets are spectacular. While we do perform morning ceremonies, the vast majority of our Maui wedding ceremonies occur during that magical hour before the sun goes down into the Pacific ocean. 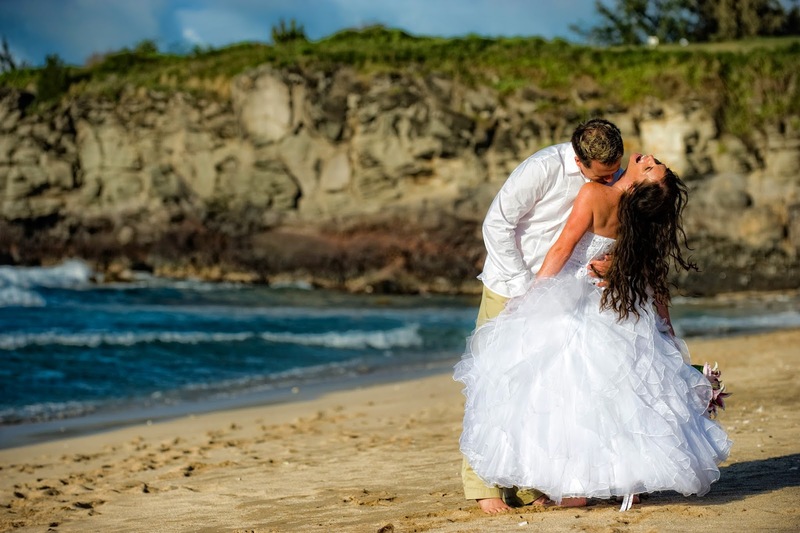 So if you're thinking of a Maui wedding, please give us a call or drop us an email! Marry Me Maui Wedding Planners.